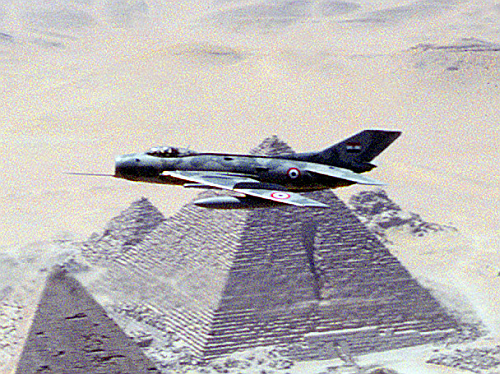 After the country cut its close links with the Soviet Union during 1976, Egypt looked China for spares support. 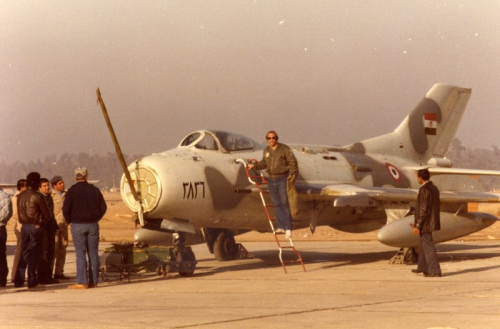 China was quick to sense the opportunity, selling about 40 Shenyang F-6C (license-built MiG-19s) fighter-bombers to the Egyptian Air Force in 1979. In turn, Egypt gave some of its mothballed MiG-23s China. Interestingly the Shenyang F-6's predecessor the Soviet MiG-19S has already been used in the sixties but its operation wasn't satisfactory under hot climate. 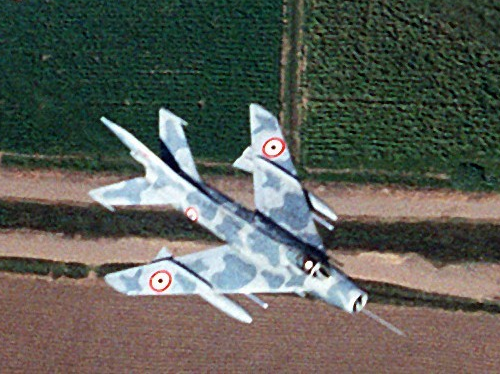 The biggest problem experienced with the MiG-19 was the positioning of the hot air venting pipes, which ran close to the aircraft’s hydraulic tanks. 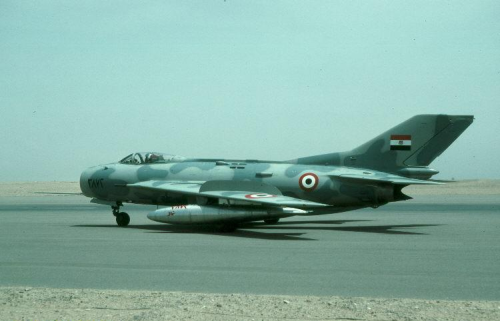 The Egyptian Air Force retired the Soviet-made MiG-19S type in 1970. The Chinese Shenyang plant delivered 90 Shenyang F-6C fighter-bombers and FT-6 trainers between 1979 and 1983 to Egypt. The Shenyang F-6's replaced the Su-7BMK fighter-bomber type on Bielbeis (Belbes) airbase and the MiG-21's on Beni Suef airbase. Numerically the most important user of the Shenyang F-6 in the Middle East is Egypt. 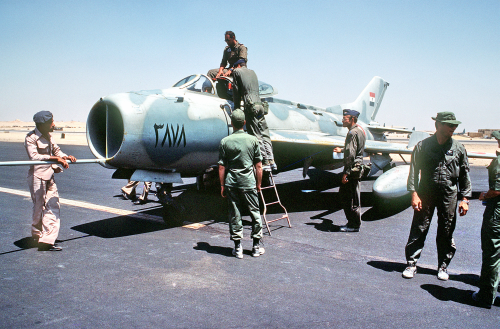 Although by no means modern or advanced, the F-6s enabled Egyptian Air Force fighter pilots to maintain their skills, especially as these aircraft were upgrade with US and British weaponry and electronics. In the second half of the eighties the 241 and 242 brigades had been reorganised. The remaining 72 F-6s and FT-6s fighter bombers were assigned to three squadrons at the end of the eighties: The 241st brigade became OCU. And the 242nd brigade had been converted to F-16C/D Falcon Block 32 type in 1986-87. The 211st brigade received the residual Shenyang F-6s. 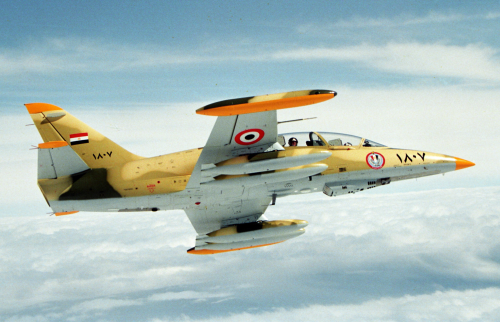 The F-6s and FT-6s serve primarily with No20 Squadron and No 21 Squadron, both of which from part of No 211 Fighter Ground Attack Brigade at Genaclis(Janaklis) AB, a small number serve with an OCU within the Air Force Academy at Bielbeis(Belbes) AB. 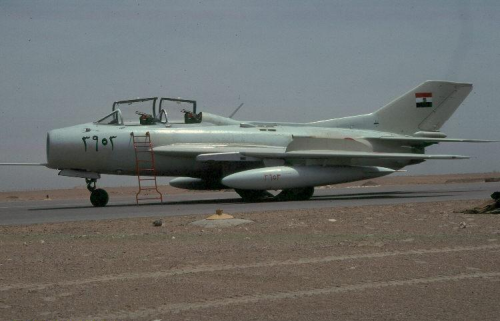 The Shenyang F-6C were fitted with pylons for two 100 kg or 250 kg (220 lb or 551 lb) bombs for runway cratering, ORO-57 FFAR pods or 212 mm (8,34 in) rockets. Some aircraft were fitted with non-standard trapezoidal blast panels. 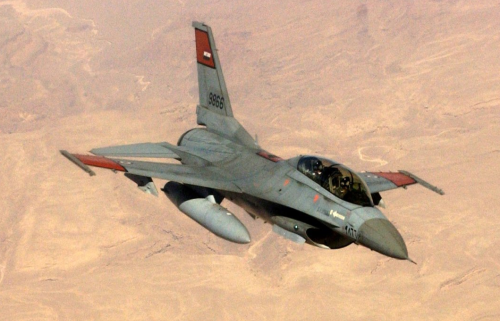 A number of Egyptian Air Force were reportedly upgrade with the AIM–9 Sidewinder IR-homing ait-to-air missile. The Egyptian and Pakistani governments reportedly agreed in November 2000 on a major bilateral defense trade agreement which involved the refurbishment of Egyptian Air Force (EAF) aircraft in Pakistan. Part of this agreement is a major overhaul for 50 Shenyang F-6 Farmer tactical fighters and 5 Shenyang FT-6 Farmer operational trainers. It isn't known if it was realised. Around the millennium the Shenyang F-6s were replaced with Czechoslovak-made Aero L-59E Albatros and Lockheed Martin F-16C/D Fighting Falcon.